On Monday, a federal appeals court rejected Prof. Lyle Craker's appeal to overturn a DEA decision to not allow him to grow medical marijuana for research purposes.The appeals court sided with the DEA, finding its decision to maintain the federal marijuana cultivation monopoly was reasonable and in line with the Controlled Substances Act. Craker first sought approval in 2001. On Monday, a hearing on a Lake County lawsuit challenging the county's cultivation ordinance was postponed when the judge hearing the case recused himself. Judge Richard Martin recused himself because his son is running for sheriff against Sheriff Frank Rivero, who is a defendant in the case. As a result, the lawsuit against the county and its sheriff will be sent to Lake County Superior Court Presiding Judge Stephen Hedstrom for reassignment. Lake County resident Donald Merill is suing over the Board of Supervisors' decision last summer to approve an ordinance limiting the number of pot plants allowed in outdoor cultivation, banning commercial cultivation of medical marijuana and prohibiting growing on vacant lands in the unincorporated areas of the county. Now, a case management conference set for next week has been pushed back until late August, too late for this year's outdoor growing season. On Tuesday, supporters of a Los Angeles dispensary initiative kicked off their campaign with a city hall press conference. Proposition D is one of three dispensary initiatives going before city voters on May 21. The measure would cap the number of dispensaries at 135, as would Proposition E, whose backers have switched to supporting Prop D. A third initiative, Proposition F, has no caps on dispensaries, but imposes other restrictions. Both Props D and F would impose a gross tax receipts of 2% on medical marijuana dispensary revenues. Also on Tuesday, DEA and local law enforcement raided four Los Angeles area dispensaries. Hit were the Zen and Alternative Herbal Health Services dispensaries on Santa Monica Boulevard in West Hollywood, La Brea Compassionate Caregivers in Los Angeles, and Marina Caregivers in Marina del Rey. Law enforcement also executed search warrants at seven other locations and arrested three people. Those arrested are accused of selling marijuana outside of California and various other offenses. On Tuesday, nearly 250 doctors signed on to support medical marijuana legislation pending at the state house. Several of them, along with patients, spoke at a Chicago press conference one day before a vote on House Bill 1 was expected in the House. The bill would create a pilot medical marijuana program, including a dispensary system. Late last week, the federal Bureau of Prisons refused to house an ailing medical marijuana patient at one of its medical facilities even though he is a kidney-pancreas transplant candidate, suffers coronary artery disease, and requires a strict medication regime. Jerry Duval, 53, must report to federal prison on June 11 and must serve his sentences at a federal correctional facility in Ohio. His sentencing judge had recommended that he be "placed in a Federal Medical Center or other facility deemed to be appropriate in consideration of the Defendant's medical needs." Last August, Montana medical marijuana prisoner Richard Flor, 68, died in federal prison after his medical conditions were given short shrift. Last Thursday, a medical marijuana dispensary bill won a Senate committee vote. Senate Bill 374 was approved by the Senate Judiciary Committee on a unanimous vote. The bill now goes to the Senate Finance Committee. Because the bill includes fees, it must win two-thirds approval to pass the Senate. On Saturday, the state's first medical marijuana school opened. The Cannabis Career Institute launched its Budtender School with a workshop for about 40 students on Saturday in Henderson. The school will teach all aspects of the medical marijuana business, including how to grow marijuana legally and bake it into brownies, cookies and cakes. The institute has held similar workshops in other cities across the US, and more than 1,500 people hold certificates from it. Last Thursday, medical marijuana legislation got a hearing in a key Senate committee. The bill, House Bill 573, was heard in the Senate Health, Education, and Human Services Committee. Opponents suggested that a clinical study be done, but supporters retorted that such suggestions were merely a way to delay the bill. A similar measure has already passed the House. While Gov. Maggie Hassan (D) has said she would support a tightly regulated program, she has expressed concern about a home-grow option. On Tuesday, a medical marijuana bill passed the Assembly Health Committee on a 21-4 vote. The bill, Assembly Bill 6357, would allow patients suffering from severe debilitating or life-threatening conditions to use medical marijuana. A practitioner who is licensed to prescribe controlled substances would certify that a patient has a severe debilitating or life-threatening condition that should be treated with the medical use of marijuana. Certifying and dispensing medical marijuana would be included in the I-STOP prescription monitoring system for controlled substances enacted in 2012. Also on Tuesday, Gov. Andrew Cuomo (D) said he still opposes medical marijuana. "I do not support medical marijuana. I understand the pros and cons. I understand the argument," Cuomo said. "We are looking at it, but at this point, I don't support medical marijuana. I understand the benefits, the risks. How do you construct a system that really is that tightly controlled that you don’t have dissemination beyond the directed population?" 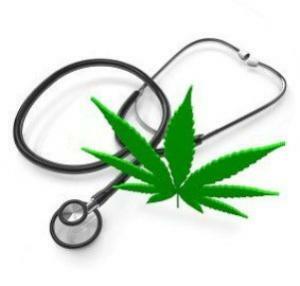 Last Friday, Rep. Kelly Alexander introduced a medical marijuana study bill. The bill, House Bill 941, would require a legislative research commission to study medical marijuana-related issues. Earlier this session, Alexander had introduced a medical marijuana bill, but that was killed by legislators who complained they were getting too much feedback from constituents. Last Friday, it was learned that the federal government had forced the state to release medical marijuana patient records. The Oregon Public Health Division, which keeps tabs on medical marijuana card holders, has handed over an undisclosed number of patient records as the result of a federal search warrant. The DEA executed the warrant and seized Oregon Medical Marijuana Program records in an investigation into illegal drug activity. The name and number of patients information pulled is still unknown because the investigation is ongoing and more records could be subpoenaed. Patients and activists are not pleased. Last Thursday, medical marijuana supporters protested proposed restrictions on caregivers at a rally at the state house. More than two dozen people showed up to oppose amendments to the state's law that would reduce the number of plants that a caregiver could grow from 24 to 12 and allow a patient to grow a maximum of 6 plants. Patients can currently grow twice that number. The caregivers and patients also criticized amendments that would require the growers to notify city or town zoning officials about their plans to grow marijuana. The Federal Government has decided it is easier to wage their war against entities conducting business in the marijuana industry legally under their own state laws, rather than go after the cartels and truly illegal growers polluting our National Parks as well as destroying and contaminating private land. While medical marijuana has paved the way forward, we look to Washington and Colorado who have made the courageous decision to step forward with legislation recognizing Recreational Marijuana as a private choice and should be no more illegal than beer and alcohol. I,m a Cannabis user for three years now and i want to be fully honest here Marijuana is surely good for a thousand reasons, but there is one side effect i have witnessed, which is decrease in IQ level(IQ is just your ability to respond faster it doesn't have anything to do with how smart one is). There is a huge disconnect between politics and reality.